Every girl likes to borrow her boyfriend's clothes when she gets cold. Over-sized blazers are super comfy and stylish at the same time. 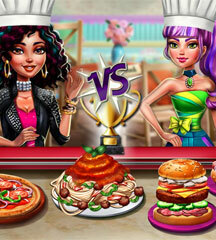 If you've never tried this trend, you have to join these pretty BFFs in one of the most adorable dress up games! 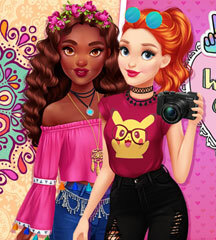 They will combine the girly clothes and accessories in their wardrobes with edgy blazers borrowed from their handsome boyfriends. 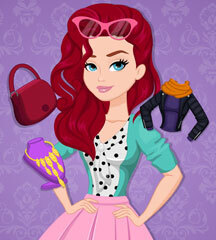 Use your fashion skills to pick the perfect outfits for the ladies! 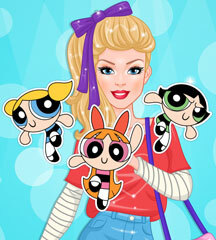 You can complete the look with simple hairdos and the girls will love it. Have a great time with them in the dressing room!